Beautiful and Modern Outdoor Couch Sets for the Patio! Amazing Outdoor Sofas and Couch Sets for a Dream Patio! 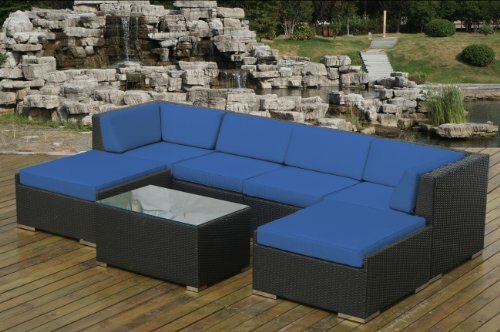 Outdoor couch sets are absolutely perfect for entertaining your family and friends while enjoying a beautiful day outside! The first step is to invest in a good quality all-weather wicker outdoor couch set, to make sure it will last for many, many years. After that choose one that will fit the space you have available, of course, and then pick a bold color! Having cute plants and flowers nearby also helps create a very nice atmosphere! These are my top favorites! Red is a very nice color to dramatically improve any ambiance! 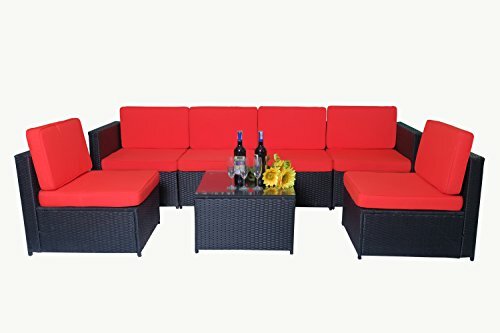 This is a luxurious 7-piece patio wicker sofa set for sale! The red cushions are very thick and extremely comfortable! 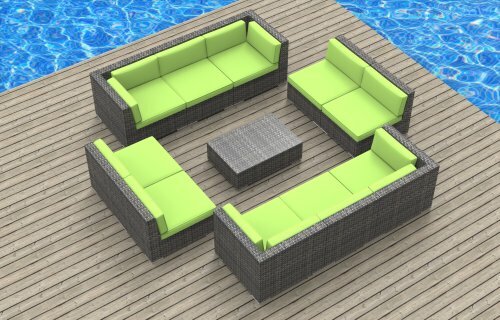 This is the perfect outdoor couch set to entertain family and friends! Believe it or not, the price is not that bad… you will be pleasantly surprised! 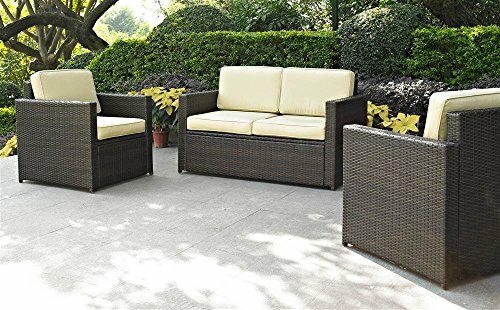 Amazing 7pc Modern Outdoor Backyard Wicker Rattan Patio Furniture Sofa Sectional Couch Set in 5 Colors! 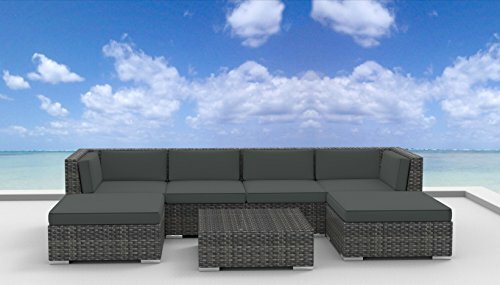 This elegant 7-piece modern sectional sofa set for the backyard can be bought in 4 cool other colors, besides this elegant charcoal. What I also love about them is that you can easily change the layout and place them any way you want! They are very light to move around! It’s very durable, weather-resistant and also kids and pets resistant! I love the large ottomans! If you have a very large patio area or backyard and don’t know what to do with it, then why not get a gorgeous 14-piece outdoor sofa set? You can have amazing outdoor parties and family gatherings! I love the large coffee table! The pieces are very durable and heavy-duty. This is one of the largest outdoor couch sets available! 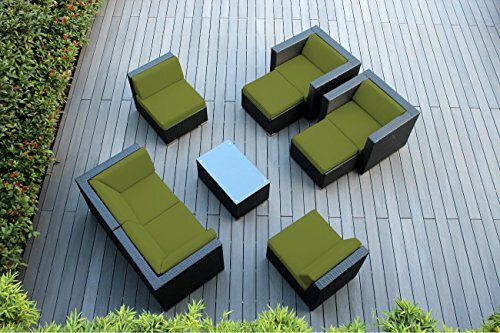 This is also a beautiful and very elegant looking 9-piece outdoor couch set in a beautiful peridot color for the backyard. It’s very stylish and modern! The cushion covers are all weather-resistant and UV resistant. They are also very easy to clean. Just use a sponge with a mild detergent! *11pc Modern Outdoor Backyard Wicker Rattan Patio Furniture Sofa Sectional Couch Set in Lime Green! 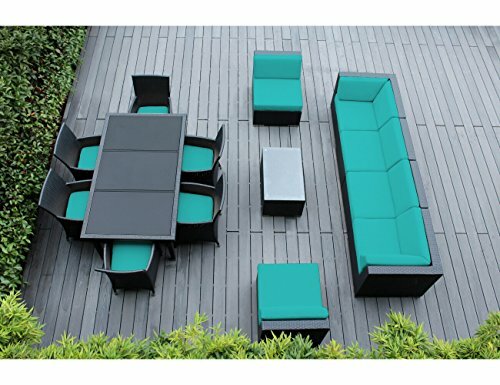 I love lime-green and this beautiful 11-piece lime-green outdoor sofa set is perfect for a spacious backyard! The fun lime-green cushions are super comfortable! If you are into super modern furniture for your home, you are going to go crazy with this latest outdoor sectional couch set model! It comes in six beautiful colors to choose from and a patio cover! It’s a mixture of cool, unique sophisticated and modern all in one! Small and Affordable 3 Piece Outdoor Wicker Seating Set for Sale! 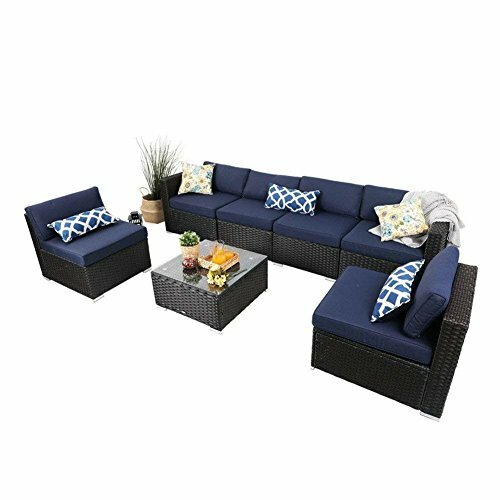 If you have a small backyard or patio area and are looking for the best outdoor couch set that is also affordable, you are going to love this very cute and compact 3-piece wicker seating set! It is perfect for a small outdoor space!